If you’re searching for a great place to spend a day in Maine, look no further than the Maine State Aquarium. 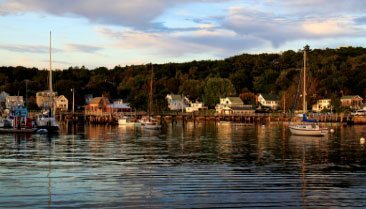 This popular attraction in Boothbay Harbor has been drawing in visitors for several years. During your visit, set aside some time to explore their rotating collection of animals, displays, and educational programs. With so much to see, you’ll discover something new each time you visit! Find out everything you need to know for a memorable experience. We want each and every one of our guests to have an incredible time during their stay in Boothbay Harbor, Maine. That’s why we compiled a helpful guide to our local area. Download your free Vacation Guide now to see our top recommendations for activities and attractions. Learn about great things to do like visiting the Maine State Aquarium, tasting fresh seafood at nearby restaurants, and hiking along the coast. We deliver the guide directly to your inbox so you can start planning your trip immediately! 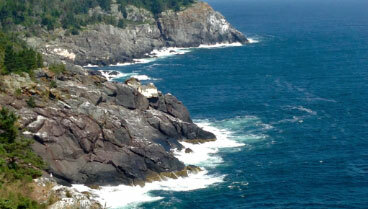 The Maine State Aquarium is on McKown Point Road in West Boothbay Harbor, just minutes from our inn. This makes it an excellent place to go during your stay. It’s open seven days a week from 11 a.m. to 5 p.m. with plenty of exhibits and activities to check out. Admission is $7 for adults, $5 for seniors, and only $3 for children. Keep in mind that the aquarium is open from May through September, so time your trip accordingly if you’d like to visit! Check out the visitor information page to learn more about the aquarium, daily events, holiday hours, and seasonal passes. How often do you get a chance to get up close and personal with underwater wildlife? At the aquarium, you can reach out and touch some of the region’s most fascinating marine animals. You’ll find a wide variety of species in the tidepool tank, including sea urchins, horseshoe crabs, sand dollars, and more. There’s even a tank with sharks and skates in it. You’ll be able to brag to your friends and family about touching a live shark! Not only do you get to taste delicious lobster at our local restaurants, but you can learn about this crustacean at the Maine State Aquarium! The facility has a whole collection of lobsters in different shapes, sizes, and colors. You’ll learn about various types of lobster and are welcome to ask the staff members questions. Find out which animals call the coast of Maine their home in these exhibits. Come and get a good look at a variety of anemone, tautogs, alewives, and more. Particularly noteworthy are the large, gray and blue wolfish lurking in the tanks! Are you looking for more things to do while at the aquarium? There are plenty of options for tours, lectures, and unique events. You can learn from experts, help feed the animals in the afternoon, and even go on a fun fishing trip! Check the daily schedule outside of the aquarium or call ahead for more information. Don’t forget to peruse the gift shop on your way out for great gifts and souvenirs! 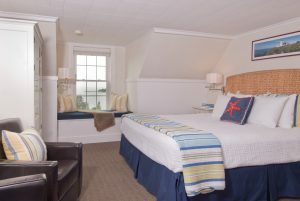 After a trip to the aquarium, head back to our bed and breakfast and relax. Our property is less than ten minutes away and features luxurious guest rooms and amenities. Each room is uniquely decorated and many feature fantastic views of the water. 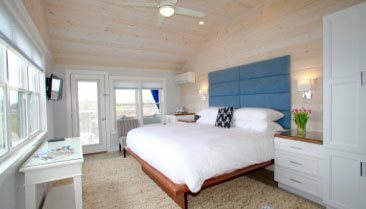 Room 6, for instance, features a comfortable king–size bed, harbor views, and bright decor. 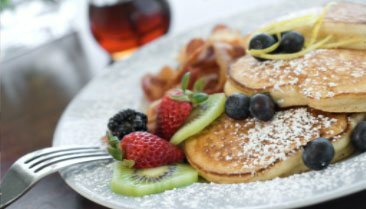 Your stay also includes a delicious gourmet breakfast each morning. Check our availability and make your reservations today. We look forward to having you! Be sure to check out our current specials when booking to enhance your stay!